If your tot loves adorable baby chicks, here’s a sweet new matching game that will keep him giggling as he learns. The Color ‘n Eggs matching game by BeginAgain combines the classic theme of chickens and eggs with the fun of puzzles and matching. 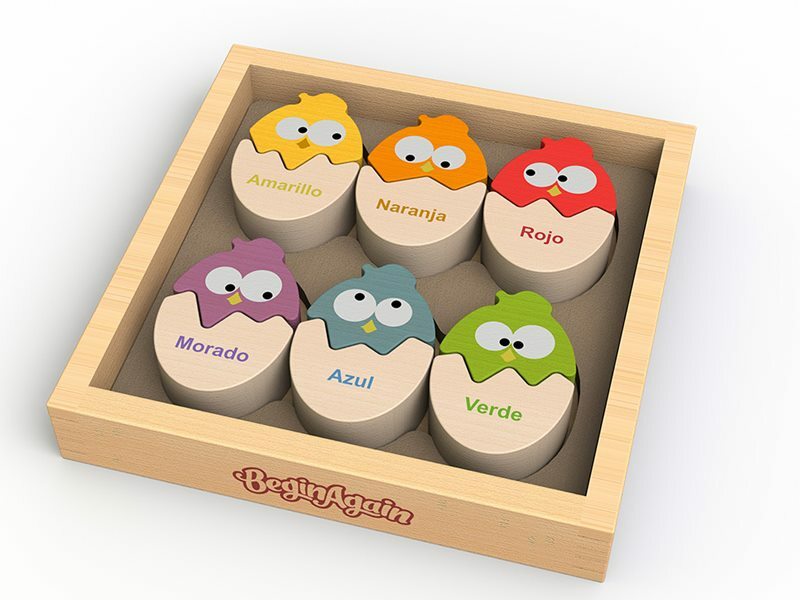 Plus, this clever toy teaches colors in both English and Spanish. The game includes six brightly colored chickens, each of which is designed to fit only in its matching egg, which helps to develop both primary color learning and cognitive skills. Like all BeginAgain toys, this entertaining learning game is made from eco-friendly, all natural rubber wood and colored with non-toxic, child-safe stains. Recommended for ages 2+. If your tot loves adorable baby chicks, here's a sweet new matching game that will keep him giggling as he learns. The Color 'n Eggs matching game by BeginAgain combines the classic theme of chickens and eggs with the fun of puzzles and matching. Plus, this clever toy teaches colors in both English and Spanish. 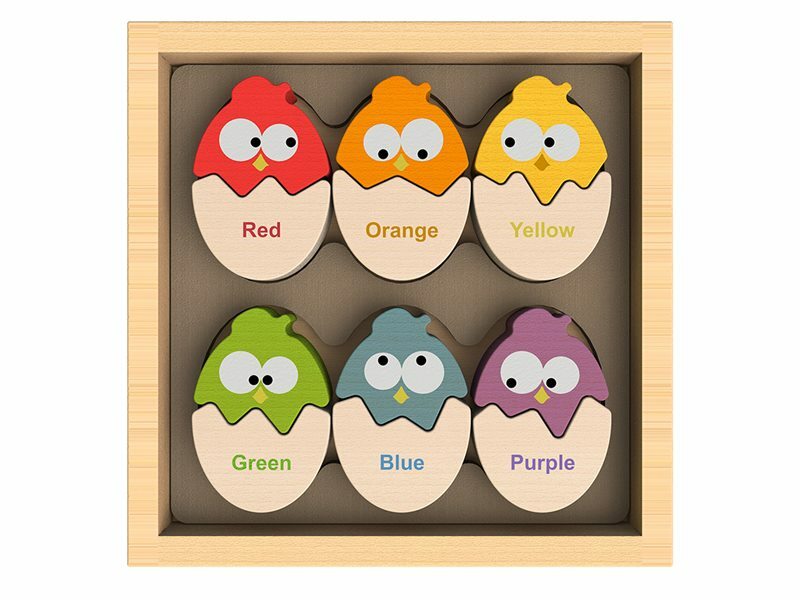 The game includes six brightly colored chickens, each of which is designed to fit only in its matching egg, which helps to develop both primary color learning and cognitive skills. Like all BeginAgain toys, this entertaining learning game is made from eco-friendly, all natural rubber wood and colored with non-toxic, child-safe stains. Recommended for ages 2+.